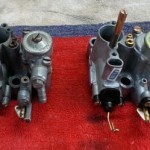 The motor now runs but the carburetor leaks and if you leave the fuel tap on it empties on the floor – BAD BAD Bajaj !! 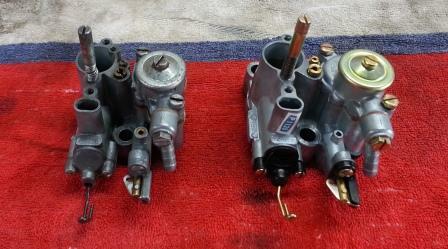 So, now I have got a new needle and float and gaskets from Paul @ Vespa Spares. Cleaned the carby out with compressed air and put everything back together, but it’s still the same. 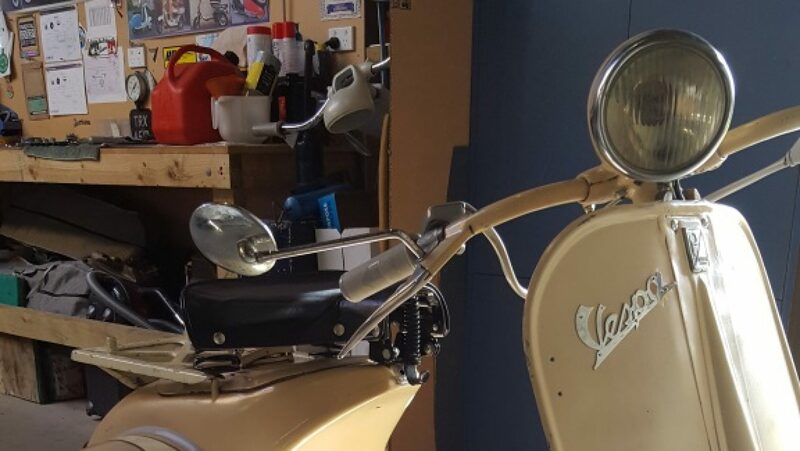 Anywho, now I have a shiny new Spaco Carby from Paul @ Vespa Spares. After installing it the scooter starts and runs and doesn’t leak, even if you leave the fuel tap on – Yippee! I filled it up with fuel and went for a ride. It runs OK but there is a small idling issue occurring when you come to a stop – you have to keep the revs on or the bike stalls. Well now the wife has seen it running, she wants to go for a ride on it. So after putting on the safety gear and some instructions, as she is a learner rider, with some heavy handed clutching and a couple of false starts, she’s off. The bike not idling when you stop is causing a big issue for her so I do some adjusting and take it for another run where the bike is going really well but still won’t idle when you stop. I go to start it again and “bang”!! There is no compression and it sounds like somethings come loose internally as I can hear something turning/rattling that shouldn’t.